San Fernando Valley OG is a creation of Cali Connection Farms, bred by Swerve in the San Fernando Valley. 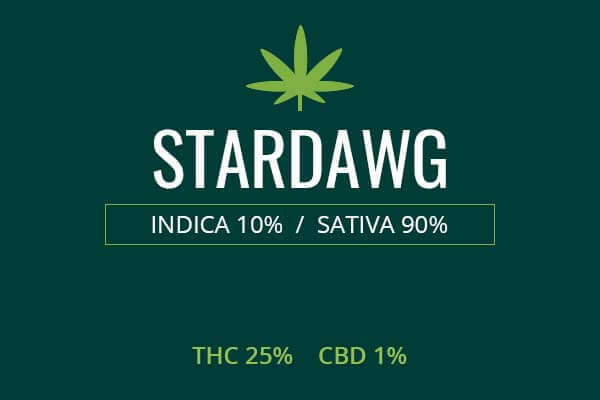 This strong Indica is a descendant of the feral OG Kush. 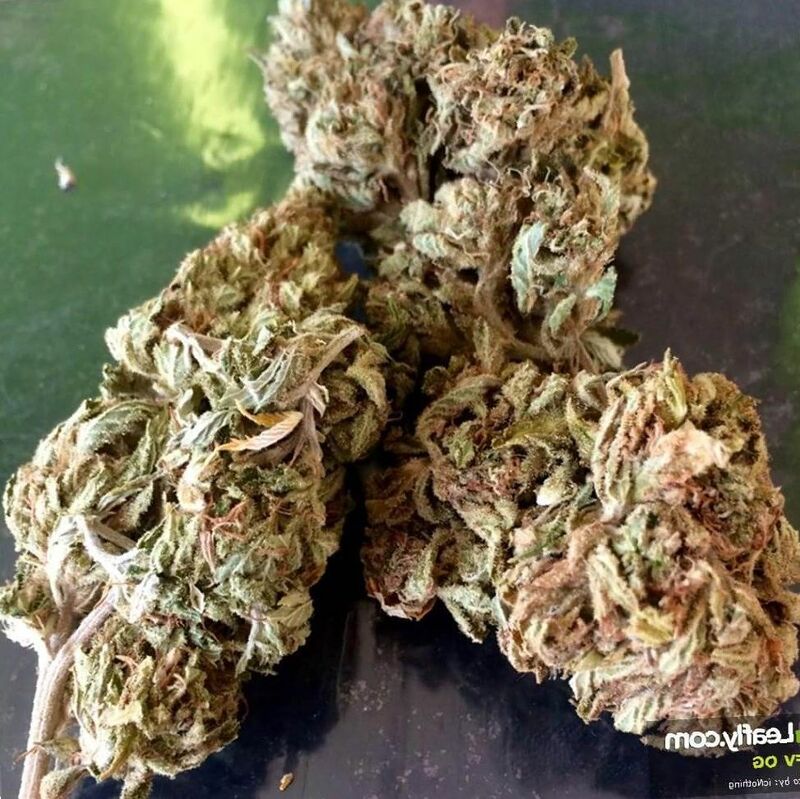 May Relieve San Fernando Valley OG is a relaxing Indica which can soothe chronic pain such as in conditions like Fibromyalgia and low back pain without the addictive potential of opiates. It can also improve mood in anxiety and depression. Indoor/Outdoor Yield Indoors, you can anticipate a yield of 13 ounces per meter squared of space of San Fernando Valley OG. Outside, you can get a yield of 13 ounces per plant. Flowering time San Fernando Valley OG can flower and be ready for harvesting, drying, and curing in 8 to 9 weeks. Harvest San Fernando Valley OG weed growing outdoors will be ready for harvesting in the beginning October. Disease resistance San Fernando Valley OG is able to fight off the ravages of pests, wind, and weather. It has high resistance to fungi, viruses, and bacteria. Plant Height San Fernando Valley OG cannabis Indica plants are of a medium height, growing anywhere from 40 inches to 80 inches high. Adverse effects San Fernando Valley OG when overindulged can produce dryness of the mouth and eyes. Growing difficulty Growing San Fernando Valley OG marijuana plants is rated as comparatively easy. You will need basic gardening skills, knowledge of organic soils and nutrients, and proper lighting and watering. San Fernando Valley OG is a powerful Indica bred from OG Kush. This makes it a rugged plant, adapted to the conditions of the Hindu Kush mountain valley. This environment bequeathed the plant with genetics which produce large amounts of cannabinoids, terpenes, and phytonutrients which help the plant to thrive. SFV OG is a cannabis plant of medium height, growing between 40 and 80 inches tall. You will get fairly small, dense buds that pack a big punch of lemon fragrance and flavor. 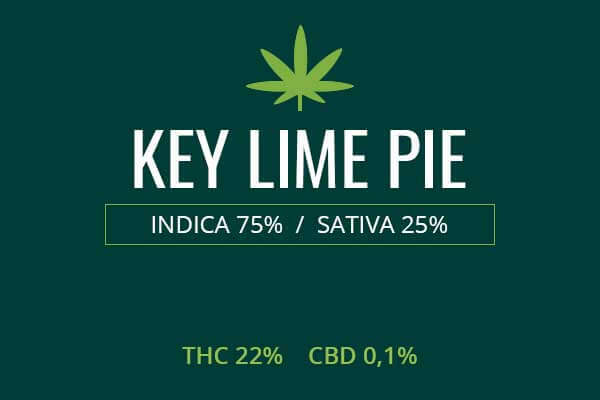 The strong pine scent will knock you off your feet and give you a hint of what is to come on the initial tokes. The smoke of SFV OG is delicious but can be a bit harsh and bitter like immature green pine cones or the fumes of pine sol cleaner. However, it will quickly numb out the stinging tissues and provide a well-deserved euphoria. The buds are a solid green color with bright orange pistils scattered throughout. There is a light coating of sticky trichomes producing high levels of THC. Growing weed from San Fernando Valley OG cannabis seeds is said by cultivators to be easy enough for beginners. You will need basic gardening skills such as maintaining a dry and sunny environment and using proper watering and nutrients for your plants. Grown indoors, flowering can be induced in about nine weeks. You will be able to come away with 13 ounces of prime time weed for every meter squared of space. Outdoors, you will want a mild and dry climate that mimics that of the San Fernando Valley. Your plants will need plenty of sun. Harvest will be early in the month of October. 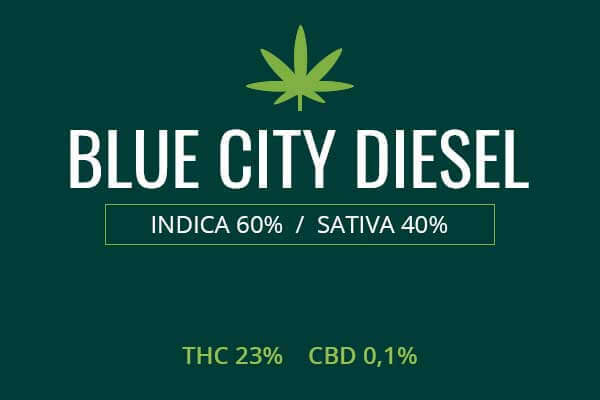 You should be able to come away with 13 ounces of beautiful bud per cannabis plant. 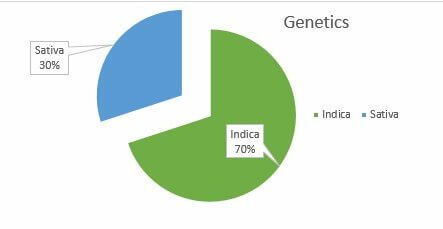 San Fernando Valley OG is a relaxing Indica with as much as 22 % THC. This makes it an ideal choice for chronic pain such as in Chronic Fatigue Syndrome and conditions like shingles, caused by herpes zoster (chicken pox) reactivation. The reactivation of this virus which is carried by most of the population, causes a very painful rash, a type of pain which is called neuropathic pain. Neuropathic pain is far in excess to the physical damage causing the pain as it arises from damage and malfunction of the nerves themselves. SFV OG is able to calm these nerves, reduce inflammation, and provide both acute and long-term pain relief. SFV OG can produce an anti-anxiety effect which can be useful in cases of anxiety and depression. Anxiety can come in the form of several disorders as set out in the Diagnostic and Statistical Manual of Mental Disorders. This may include disorders like Generalized Anxiety Disorder or GAD. In GAD, anxiety is present for much of the day, most of the time, for at least six months. This can cause patients to rarely leave home or go out to socialize. Patients experience free-floating anxiety, not connected to any particular object, but excessive in any or most contexts. 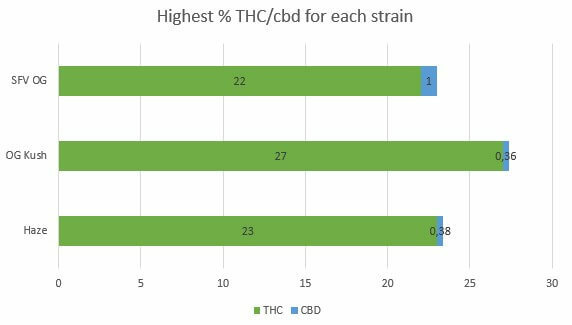 Medical marijuana blends which are relaxing rather than stimulating can give users a break from this anxiety and significantly improve quality of life. It can allow users to forget their traumas and worries without the addictive potential of benzodiazepines or phenobarbital. Children with selective mutism often grow up into adults with Social Anxiety Disorders. This is excessive fears of performing in social situations. It can present as a fear of small talk as well as excessive fears of more challenging social situations like giving a speech before a classroom in college courses. Social Anxiety Disorder can greatly reduce the quality of life of sufferers. They may fear going shopping and even have trouble getting to the psychiatrist for help. Medical SFV OG will calm the mind and nerves of some persons with social anxiety and take away the paralyzing and debilitating dread of social situations. It can allow sufferers to develop and maintain social relationships. Social relationships in good order give a major boost to life expectancy. Centenarians are often demonstrated to have maintained good social relationships throughout their lives and doing so has extensive benefits to health and longevity. Panic Disorder is an anxiety disorder where sufferers get a sudden, unpredictable attack of fear and dread, with sweating, increased respiration, and racing heart beat. These attacks then lead to a fear of going out in public and having another attack. Some studies have shown that the physiological changes which proceed the attack can begin an hour or more before the attack and does not seem to actually be set off by mental triggers. SFV OG can provide an anti-inflammatory effect which may be useful in panic disorder. Panic disorder can be associated with inflammation in the brain and nerves, or with metabolic anomalies like hypoglycemia, an episode of low blood sugar which causes the body to spike adrenaline levels to get emergency energy out of fat cells. This can set off a panic. However, marijuana can calm the nerves and sometimes even have a positive effect on insulin sensitivity, helping to prevent hypoglycemic episodes that set off panic attacks. Another condition which appears to be related to anxiety disorders is anorexia nervosa. Anorexia is classified as an eating disorder in the DSM. This is a disorder in which the sufferer begins to intake a deficient level of calories which causes malnutrition, weight loss, and tremendous health problems. The patient develops a fear of eating and a warped sense of what their body looks like. They may see unwanted body fat in areas of the body which are thin and producing symptoms of wasting and starvation. 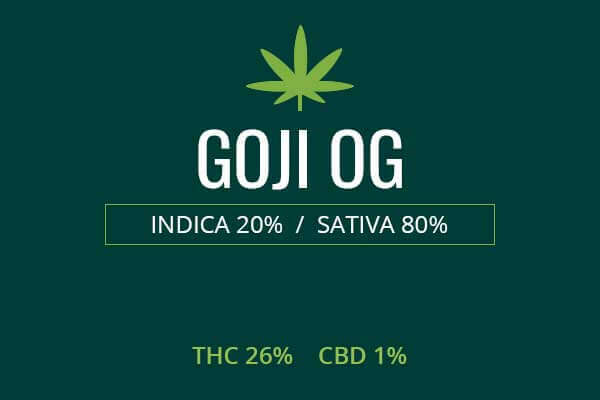 SFV OG can help calm the nerves of such persons so that they are no longer excessively worried about gaining body fat and their appetite is stimulated while their inhibitions are lifted. This allows them to begin eating once again and putting on the weight that they need to be healthy. Anorexia Nervosa often affects young women but can also affect men and children. The addition of medical marijuana to the treatment regimen can allow sufferers to once again enjoy food and develop a healthy relationship with their diet instead of one that is full of worry and obsession. Many people with anxiety disorders also develop sleep disorders such as insomnia. People with insomnia can have trouble falling asleep or staying asleep. They may awaken several times throughout the night and when awake, experience excessive daytime sleepiness, leading to reduced productivity, reduced quality of life, and increased chances of getting into car accidents or making mistakes at work. It is crucial that the patients find a way to get to sleep and stay asleep. Weed has long been known to be that knock out potion that helps some people get to sleep and stay asleep. SFV OG is a particularly relaxing weed, producing couch lock, full body relaxation, and a tendency to snack, and to sleep. The body’s natural sleep rhythms respond to cannabinoids as well as to calories by type and amount. A diet with healthy, non-processed carbs will promote a type of sleep which will make you feel well-rested, but not too heavy and lethargic upon awakening. Many people use weed to induce appetite, allowing them to eat well, which then allows them to sleep well. SFV OG can be used to induce appetite in wasting diseases such as cancer and HIV. It can be crucial to the well-being of such patients to have this medication to fight nausea and lack of appetite so that they are able to maintain body weight and proper nutrition. San Fernando Valley OG is a weed for a lazy day full of free time. This weed will make you feel relaxed and locked to your couch. You will still have the energy and inspiration to socialize with friends or intimate partners. Your body will feel comfortable and pain free. Anxiety will be banished. You are likely to get the munchies so have some healthy snacks available. You may get the inspiration to participate in some creative pursuits like listening to or creating new music or artworks. If imbibing at the end of the day, SFV OG can be just the night cap you need to slip off into a peaceful slumber.